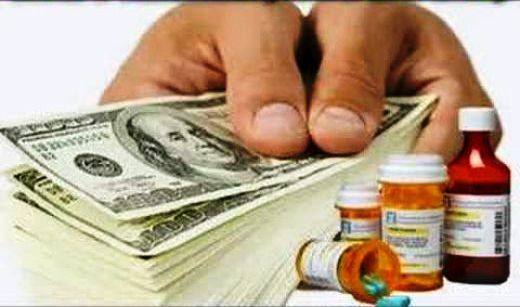 Antibiotics Wonder Drug or Big Pharma Big Bucks? Antibiotics were the wonder drugs of the 20th century. But as we enter the 21st they seem to be losing their miraculous nature. As a clinician, I have seen both sides of this fence. I have seen people who unquestionably benefited from antibiotic use, and others who unquestionably died from it. I have seen more and more of this as Big Pharma gets away from naturally occurring substances and “pioneers” new synthetic materials in the lab which are both expensive and patentable. The worst problem is of course, resistance. We now have an army of bugs that do not respond to anything but the latest synthetic creation from Big Pharma. How convenient and who’s to blame? If you want to play the blame game laid it squarely on the shoulders of the following: Big Pharma for their unending and unscrupulous ad campaigns, where every snivel and sneeze is a sinus infection requiring two weeks of costly drugs. That gives bacteria plenty of time to begin the resistance process. Viruses are much worse than bacteria. They adapt to drug pressures faster and with more virulence. Also, as of this writing, the so called non virulent strain of bird flu has hit three more states in the U.S. Look to the continuing overuse of anti-virals to put us in dire straits this winter, since the bird flu is now a big concern. In the past doctors held back on the anti-viral drugs because of their side effects, cost and lack of any real efficacy. As pressure to see more patients and get them out of the office went up with the rising costs of doing business, and the decline in income, doctors found it easier to give patients a prescription or a sample and get them out of the office quickly. Then came the unending stream of people who began demanding antibiotics for every little cold that would have passed on its own. As a result, we have seen a decrease in effectiveness from our antibiotics and of course more side effects, as Big Pharma doesn’t seem to test stuff much these days. For instance, the drug Tequin was yanked from the market because it caused dangerous and potentially deadly blood sugar abnormalities. But not until it sold $150 million worth worldwide, and $100 million alone in the U.S.
Do the math on that one and you’ll find that this expensive drug was sold mostly to Americans and most of the profit came out of our pockets while the rest of the world either paid much less or didn’t see this charming creation. Another really bad thing has happened. Antibiotics can actually cause infections! The most common one is called C. Difficile and the rate at which it strikes antibiotic users is on the rise. As a result, so are operations to remove infected colons and people dying from the complications of both the infections and the surgery. In one institution, the rate of colon removals went up 4X over the past couple of years. So before you run to the doctor for antibiotics please think twice. Ask your doctor for a solid diagnosis, treatment options and reasoning behind the choice of drugs. Also ask about side effects, as things like how C. Difficile can affect anyone after any length of time on antibiotics no matter what their underlying health conditions are or are not. If your doctor cannot name a few side effects and does not mention this one, then he or she is not familiar with the drug. Normally I would tell you to listen to your doctor on all accounts, but in this case, you have to make a choice. Remember, antibiotics do nothing for the flu, so if you think you have it please don’t run to the doctor expecting an antibiotic. Take your fish oil, Monster Multi, and Immune Booster every day. Eat right, sleep well (Sleep Wizard can help) wash your hands, and stay out of your doctor’s office during cold and flu season. Believe me; you have a better chance that way! https://realpointmedia.kinsta.com/thelongevityedge/wp-content/uploads/sites/6/2017/01/longevityedge.jpg 0 0 Dr. Dave https://realpointmedia.kinsta.com/thelongevityedge/wp-content/uploads/sites/6/2017/01/longevityedge.jpg Dr. Dave2010-11-03 15:59:292010-11-03 15:59:29Antibiotics Wonder Drug or Big Pharma Big Bucks? What Costs $168 Billion A Year And Kills Millions of People?